The students of the Kirikian Armenian School participated in pre-Easter festivities today. 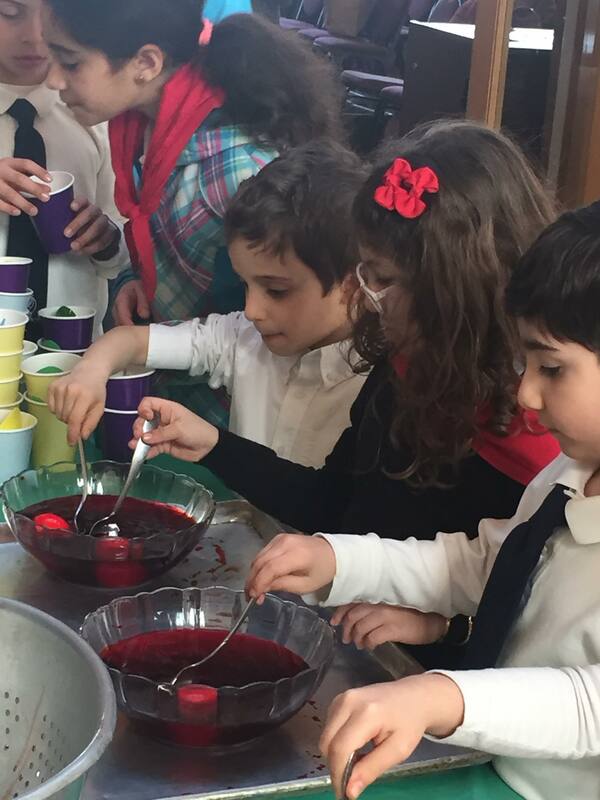 After their lessons, the children of the Armenian school were taught about Easter traditions while coloring vibrant eggs of their own to take home. They clearly enjoyed this activity with friends. Pictured here are the first grade students, taught by Mrs. Hilda Giritlian, and assisted by the helpful hands of other dedicated teachers and helpers! We invite you to view all of the moments captured from the Kirikian Armenian School Egg-Coloring in our photo gallery. Photos courtesy of Hilda Giritlian.